The UCCS Mini-MBA program celebrated its second cohort of graduates on March 19 with the presentation of individual capstone projects that achieved more than $1.8 million in financial impact with the respective companies. Eleven program graduates provided briefings of their individual capstone projects, $75k in 75 Days, demonstrating a direct financial impact to their referring organizations in a 75-day timeframe. Sponsoring organizations attended the final event in Berger Hall, along with key stakeholders from the university. 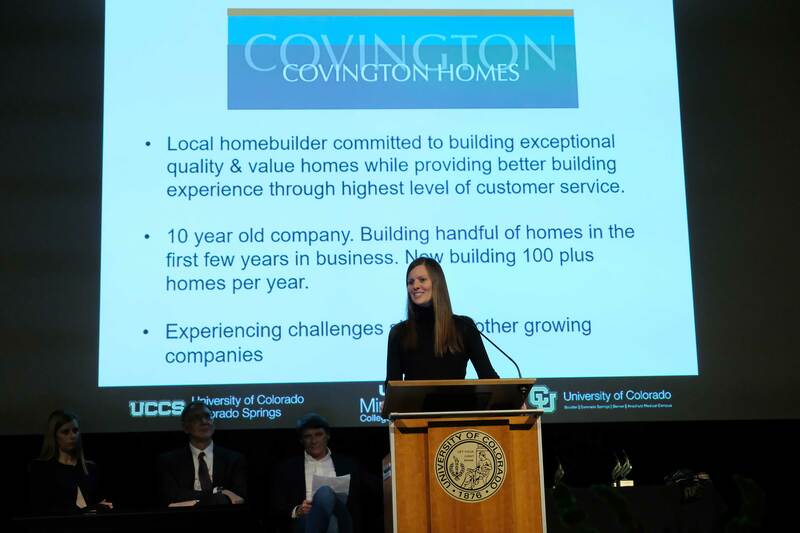 Participants were recognized for successfully completing the program and project and were given a Certificate of Completion by the UCCS College of Business and the program $75K Gold Award. 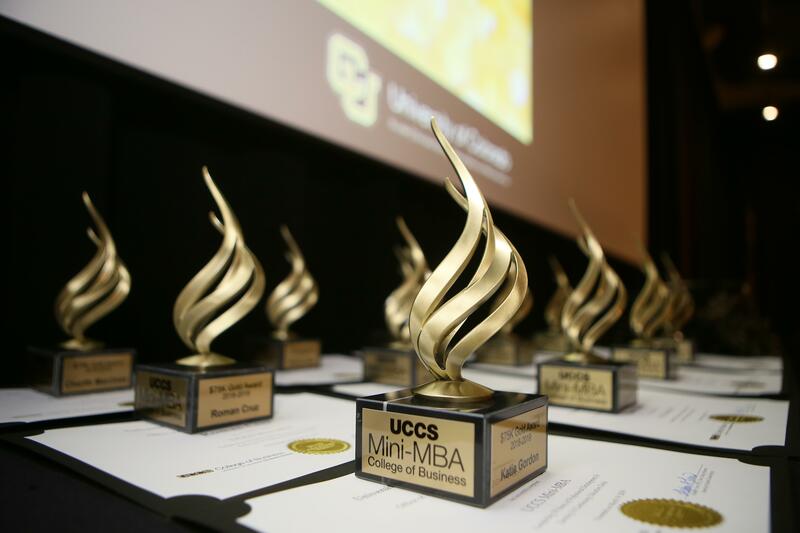 The UCCS Mini-MBA, a non-degree executive education program offered through the UCCS College of Business’ Office of Professional and Executive Development, was created in response to the business community’s demand for high-level business acumen programs. Students attended classes once a week for 13 weeks at UCCS Downtown, with an additional 75 days to complete the capstone project. Each participant was required to develop a project with a financial impact of at least $75,000 through new revenue streams, cost savings, or a mix of both. 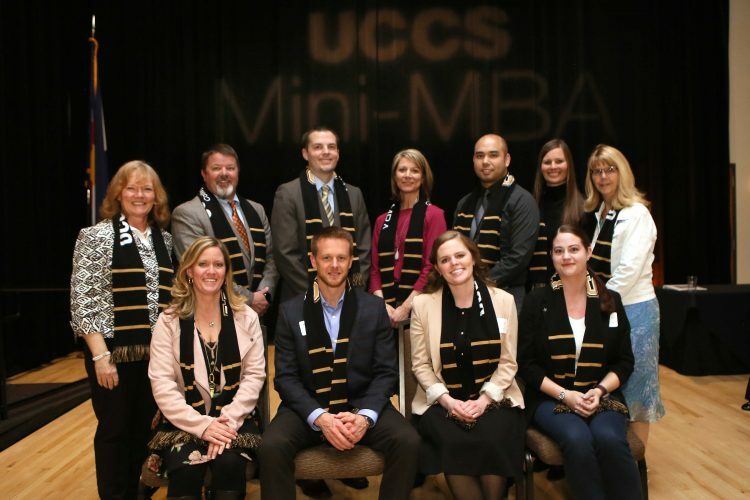 Utilizing the business acumen and tools gained from the program, the 2018-19 UCCS Mini-MBA graduates collectively achieved more $1,844,100 in financial impact within their respective companies. Most of the referring organizations are located in Colorado Springs. The college is launching its third program cohort, starting Sept. 10, 2019. Classes will run from 5:30-8:30 p.m. every Tuesday for 13 weeks in Colorado Springs. All CU alumni, and those who have previously enrolled in executive education courses are eligible for a discount. Additionally, all successful graduates of the UCCS Mini-MBA who choose to pursue a master’s degree in business will not be required to take the Graduate Management Admission Test. Registration is currently open for the 2019 UCCS Mini-MBA program. For more information, visit www.uccs.edu/exec-ed or call Pamela Preston at (719) 255-4725. The UCCS College of Business was established in 1965 and has more than 1,300 undergraduates and 350 MBA and distance MBA students. The College of Business and Administration awards the Bachelor of Science in Business and Bachelor of Innovation degrees. The Graduate School of Business Administration awards the Master of Business Administration and Master of Science in Accounting degrees. More than 10,000 alumni of the College of Business live and work around the world. For more information, visit www.uccs.edu/business.